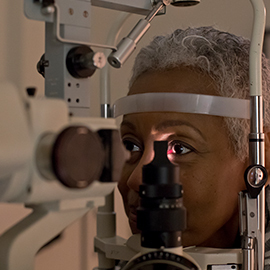 January is National Glaucoma Awareness Month, an important time to educate the community and our patients about a disease that is one of the leading causes of blindness in the United States. 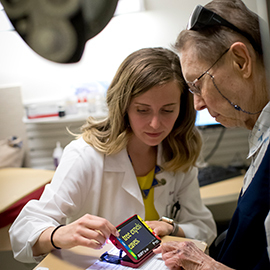 Erin Kenny, OD, FAAO, chief of the William Feinbloom Vision Rehabilitation Center housed at The Eye Institute (TEI) of Salus University in the Oak Lane section of Philadelphia, pointed out that she is not a fan of the Bird Box Challenge. Annually celebrated on January 4th is World Braille Day, which is held in recognition of Louis Braille and his contribution to helping those who are blind and visually impaired to both read and write. 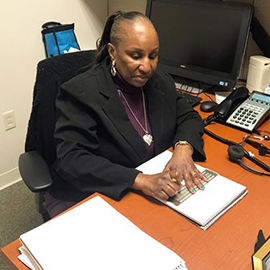 One of those people is Virginia “Jinnie” Scott, a social worker and part of the interdisciplinary team at the William Feinbloom Vision Rehabilitation Center, housed at The Eye Institute (TEI) of Salus University’s Oak Lane facility. 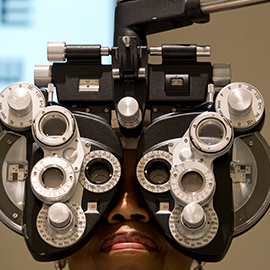 At The Eye Institute (TEI), we encourage you to extend your plans for health and wellness to include caring for your vision. Here are five simple ways you can resolve to protect your vision all year long. 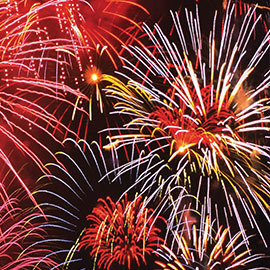 Fireworks are a fun, festive and family-friendly way to ring in the start of the New Year. However, without proper precaution this colorful nighttime display can be potentially dangerous – even for your eyes.